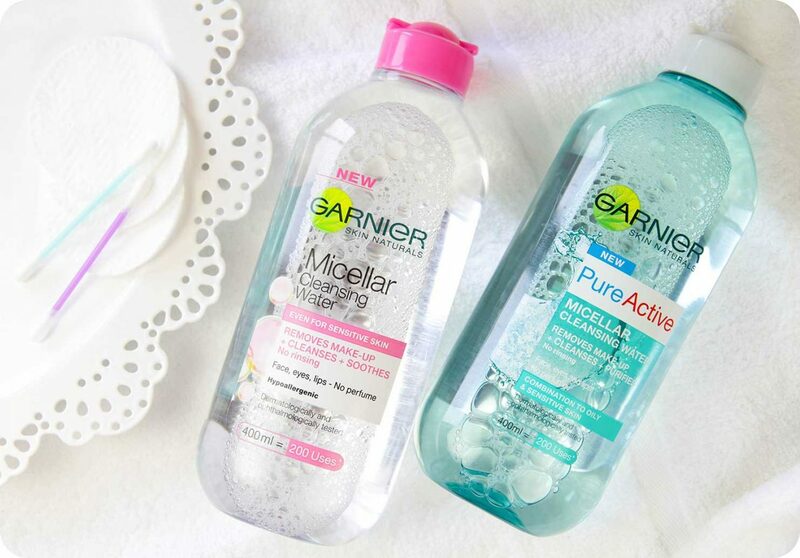 Today I’m looking at Garnier Micellar Cleansing Water. Blue cap. First off—let me specify again that this review is for the one with the BLUE CAP only. It removes waterproof makeup while the pink cap does not make the same claim. Houston, we have lift off! This is THE BEST product for makeup removal! Apply some to cotton rounds, close your eyes, and hold over lashes for a minute, letting it soak and soften your waterproof mascara, liner, etc… Wipe and viola! Magic removal! (It doesn’t contain alcohol so you can use it around your eye area without burning.) Then remove the rest of your face makeup. I have also found this able to remove my longer-wearing lipsticks. I love this stuff BIG! I don’t use it as my total face cleansing system. I use this to take off makeup, and then follow it with a gentle face cleansing. This is THE BEST product for make-up removal! My only con is the flip top. At home it’s totally fine, but I do wonder how it would be for travel. It could be a total mess if it opened in a travel bag. I’d prefer a screw on top. So—if you love this and travel—transfer some to a different container for gals on the move. For that reason alone I can’t give it a 5 out of 5… But, we’re so close here Garnier! So close! I give you a solid 4.75 out of 5.